Tax write off: According to the U.S. Tax Code you can deduct the interest you pay on your mortgage, property taxes, and some of the costs involved in buying your home. Home value: While the median price of single family homes nationally has gone down -1.8% between 2004 and 2007 the Charlotte Real Estate has thrived by increasing in value by 6.4%. Even with a 6.4% percent increase in value the Charlotte market is still considered a buyer’s market thanks to the ongoing tremendous growth. Stats offered by the NATIONAL ASSOCIATION OF REALTORS. Equity: When owning a house it is possible to gain equity value in many different ways. Supply and demand, new commercial development (accessibility), new schools in the area, new highway access and new greater valued surrounding neighborhoods to name a few. With tremendous growth in the Charlotte market homeowners have been enjoying an annual increase in equity. Money in your pocket: Building equity in your home is like building interest in a bank account but only at a more rapid pace. In addition when you sell your home, you can take a tax deduction of $250,000 or $500,000 for a married couple as long as you have owned your house for 2 years. (Capital Gains Tax) Why in the world would you pay someone else (rent) when you can put that money towards your own house that has all of these benefits. Benefit yourself not someone else. See into the future: If you are paying rent you know that is will increase over the years. How much? Only your landlord knows. When you are paying a mortgage your payment is locked in if you are on a fixed mortgage. As mentioned earlier you can also write off the interest. Many some expenses go down over time as you continue to gain equity. Keep in mind that property taxes and insurance costs will go up. You are the King or Queen of your own castle: There is no landlord telling what can or cannot do. The home is yours. You can do whatever you want to your home and reap the benefits and enjoyment of your investment. Stability: Unlike rentals that have a high rate of turnover purchasing a home in a neighborhood allows you to settle in get to know your neighbors and allows you to build friendships. Children are able to go through the education system with the same kids in the area. In the Lake Norman area you can find a number of really hot residential areas but there are not many that match up to Walden Ridge. 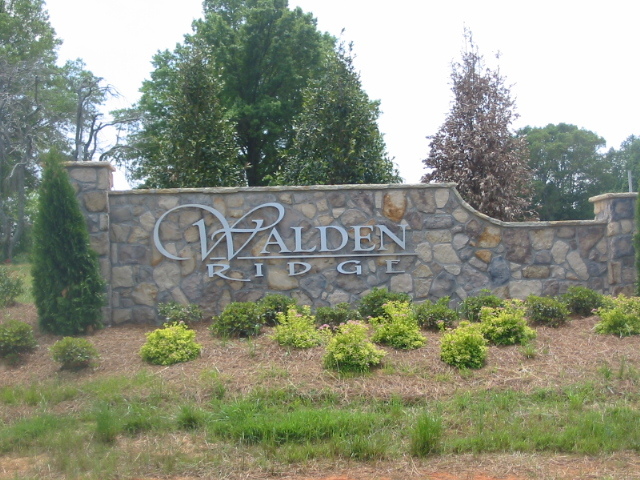 Walden Ridge is a custom home community located just minutes from downtown Mooresville near Dale Earnhardt Incorporated and offers big lots and a whole lot of house for the money. Floor plans range from 3100 t0 8000 square feet and the majority were designed by award winning custom home designer Frank Betz. Prices range from the $500’s up into the $800’s for some of the basement lots. The Builders are anchored by Mid-Atlantic Custom Homes who are building on the majority of the lots. Other featured builders include Shoreline Luxury Homes, Shaw Custom Builders, Pointe Construction and Seger Builders. If you are looking for a new home in this price range Walden Ridge is definitely a community to check out. For more information, listings or walk throughs of available houses at Walden Ridge you can reach me (Craig LePage, Broker, REALTOR) at 704-618-2412. Wynne Residential Development out of Virginia has purchased the old North Carolina Nation golf course and additional prime acreage at the mouth of the Catawba River where it meets Lake Norman. The project is called River Oaks at Lake Norman and it will offer both golf course and lakefront communities.The Fairways will be the community around the golf course and will include about 75 custom homes built by Denver, NC based LKN Builders. The homes are designed by award winning custom home designer Frank Betz and will range from the mid-$500’s to over $1 million.The golf course has been going through a multi-million dollar renovation since August of 2006 when it was purchased by Wynne Development. According to James Mode the new golf pro at the River Oaks Golf Club, the course has 18 new greens, newly paved cart paths, new landscape and a number of newly designed holes that will surely make it one of the nicest courses in the Lake Norman area. Mode also went onto say that construction of the new club house is slated to start in the early summer of 2007 and will include an owner’s lounge, pro shop, 19th Hole Grille restaurant as well as an adjoining practice area that will include a putting green and driving range. The course will be open to the public on Thursday May 31st. The new exit 32 at Langtree off of Rt.77 is now underway. Construction for the new exit and $800 million mixed real estate development project is at full speed ahead. 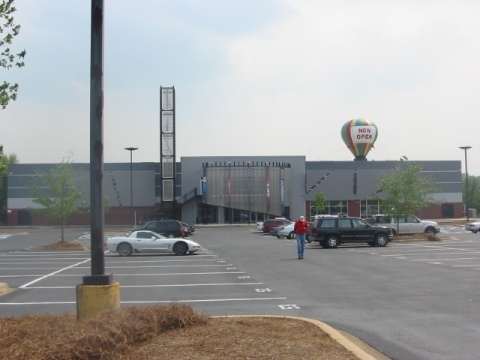 Atrium at the Lake Development, LLC a partnership between Mooresville – Land Acquisition and Investment and Atrium Development based out of Columbia, South Carolina will be heading up the project. In early December 2006 the Mooresville Town Board unanimously approved the plan which will be catered to Professionals and Active Retirees. Langtree at the Lake will of 128 acres of beautiful water views, preserved shoreline and other natural landscape that will compliment outdoor activities. The upscale living/working environment will include luxury residences, class A commercial space, a marina, impressive yacht club, four star hotel, over 100 waterfront residences and a number of other amenities. Race World USA / Michael Waltrip Racing Opens! Waltrip World, now Race World USA has opened its doors to the public. Still enduring a disappointing season on the track the multicar NASCAR Team unveiled its new race shop/theme park style facility today. With thousands of fans visiting the Charlotte area for the annual speed-week and the series of races that go along with it, the new Race World USA should be quite an attraction. Formally a movie theater most of us knew as “Movies at the Lake” the new Race World USA building has been fully renovated, expanded and attached to the old “Extreme Sports” building behind it. This makes for quite a large state of the art facility. Visitors can enter into the lobby area that displays each team and includes a driver/team display as well as a car showcase area. Upstairs fans can pay a fee to walk what Race World calls “A Revolutionary Stock Car Experience”. The walk through display includes an RV display that shows the living quarters of the drivers at the races, a hauler display, pit crew practice area, fabrication area, car assembly area, a number of specialty areas, a theatre, a retail store and even a restaurant. All in all it is a pretty neat place to visit whether you live in the area or are just visiting. What better way to start things off then to start from the beginning. The beginning of the lake that is…… After the civil war a man by the name of James B. Duke, President of the American tobacco company saw a need for textiles to clothe the new ever growing nation of ours. James and his brother Ben set out to learn everything they possibly could about hydroelectric so they could generate large amounts of power using the forces of the Catawba River. Soon after they began doing research James and Ben were introduced to Dr. W. Gill Wylie who had already been experimenting with hydroelectric in South Carolina and had formed the Catawba Power Company. Wylie introduced the Duke brothers to a young engineer by the name of William S. Lee who designed the South Carolina damn. To make a long story short, after much discussion it turned out the Wylie needed financial help and the Dukes needed power. Together they formed the Southern Power Company. In 1927 the name was changed to the Duke Power Company. 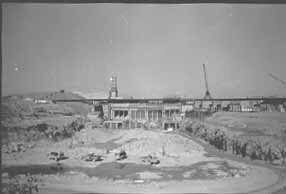 On September 28, 1959 they broke ground on the 2 large damns and four years later they were completed. It took 2 more years to fill the lake. The new lake called the “Inland Sea” by some was officially named Lake Norman after retired Duke Power President, Norman Atwater Cocke. Although the new lake brought new economic growth to the area many were far from happy because they were going to lose their land. Many refused to sell their land but soon settled for land they would be given on the shoreline of the new lake. Many original families still own land around the lake from that very deal. Today Lake Norman is 34 miles long, 8 miles wide at its widest point and has 520 miles of shoreline. It’s 130 feet deep at its deepest point and holds approximately 3.4 trillion gallons of water. It has been said that people use to stand on the side of the road holding signs trying to sell lakefront lots for $1000. Today some lakefront lots are selling for over 1 million dollars. The Charlotte area, Lake Norman include is currently one of the top 5 real estate markets in the country. A great place to live and a great place to invest in real estate. Source: “Lake Norman Our Inland Sea”, by Bill & Diana Gleasner, Inc., the Peninsula Press, Denver, NC. Welcome to Living at Lake Norman. An inside look at the Real Estate activity, land development and what’s new at the lake. Enjoy!